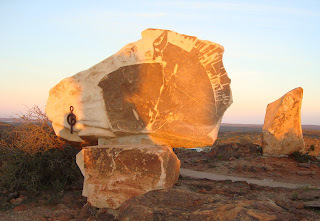 Summer school holidays are upon us and what better time to explore my favourite place Broken Hill than now. Okay it can be hot but it's Australia and it's summer everywhere so apart from Tasmania or the Australian Alps there are few cold places to be found at this time of year. It's not peak season so there aren't too many crowds, peak season is Spring and Autumn. I have been to the city several times in summer and it's lovely sunny dry heat. There's the fantastic Broken Hill Regional Aquatic Centre if you feel the need for a swim or if you could visit the Menindee Lakes either on your way to or from Broken Hill. They are about 110km south east of the city. When full, which they are now, I'm told they are about twice the size of Sydney Harbour - so quite big! It's a good side trip. Some folk from Broken Hill have holiday homes in that area. There's also the beautiful Kinchega National Park there too. In fact there are several wonderful National Parks in the Broken Hill region that could be incorporated into your itinerary. The new Visitor Information website lists them and other local attractions. Anyhow back to Broken Hill. There are the key attractions and galleries to see many of which I have written about in this blog, so you feel free to browse past posts for some ideas. Also, the Visitor Information Centre corner Bromide and Blende Streets - tel. 08 8080 3560 and the associated Visitor Information website are great places to start for ideas. The Patton Village Summer Vibes festival in Patton Street South Broken Hill. The festival runs every Friday 6pm - 9pm, from 30 November 2012 to 27 January 2013 see my article here. 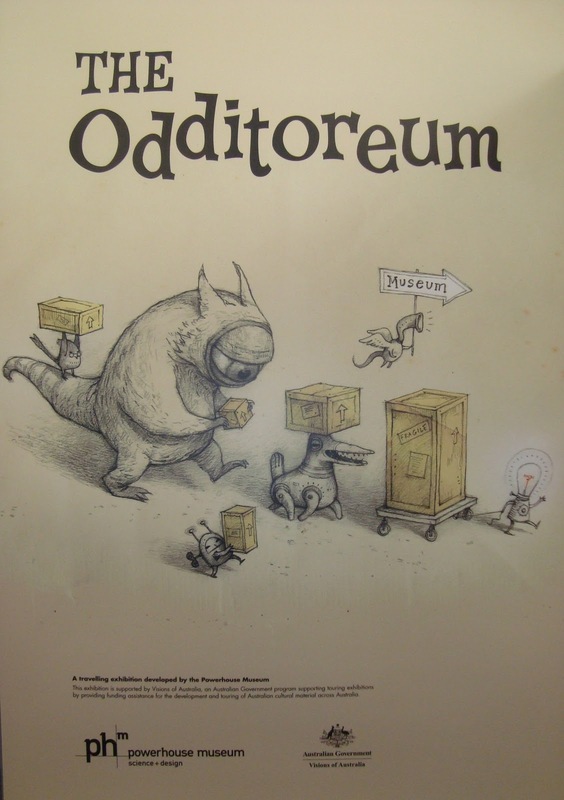 The Odditoreum exhibition at the Albert Kersten Mining and Minerals Museum (GeoCentre) running between 23 October 2012 - 22 January 2013, corner Crystal and Bromide Streets. The GeoCentre is worth a visit in it's own right. The Broken Hill Regional Art Gallery, 404 Argent Street, has another wonderful combined exhibition on, which you can read about here in my article. The list just goes on and on. There are countless things to do and a wide variety of places to dine and don't forget to check out some of the 24 or so galleries - see list of galleries at the bottom of the page (scroll down), yes for a city of under 20,000 people, there are a lot of galleries and they are well worth visiting. 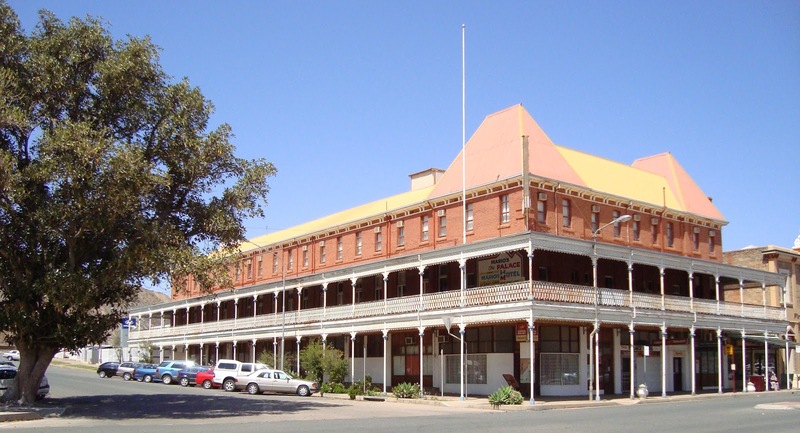 On that note, perhaps you should book another night or two, you may need it and there is a wide variety of accommodation available - see the Broken Hill Visitor Information website for some accommodation suggestions www.brokenhillaustralia.com.au. Of course there are plenty or restaurants, cafes, pubs, clubs and takeaways to enjoy a great meal and parks to enjoy a picnic.